The M11 Bridge passes a deep valley situated on the alignment of the M18 primary route (M18 road Šički Brod – Sarajevo, Bosnia and Herzegovina). There is one lane for each direction and an additional lane for slow vehicles on the slope. The total length of the bridge measured between the axes of both abutments is 122 m. It is divided into three spans: the side spans amount to 39 m in length, while the middle span is 44 m long. The horizontal alignment is in a constant horizontal radius of 500 m. The longitudinal elevation the bridge shows a constant rise of 7.5 %. The geological conditions on the slopes of the valley are relatively good. 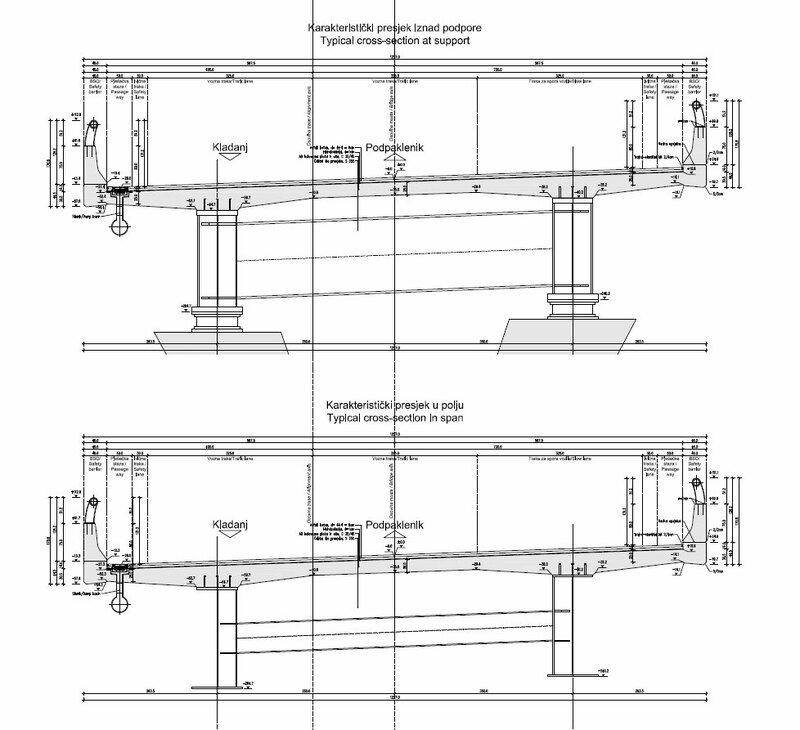 The two Y shaped columns are therefore supported on pad foundations, while piles are required below the abutments. The superstructure was positioned using the incremental launching method.